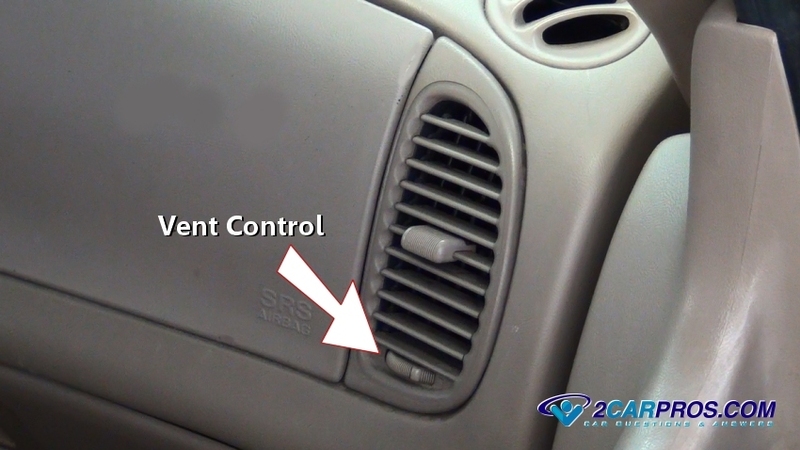 Easy step by step guide one how to troubleshoot and repair vent low air flow, this article pertains to most vehicles. Step 1 - Most air control vents are equipped with a flow control door that is located at the vent outlet. This door is controlled by a thumb wheel that when activated will open and close the vent air flow door. Work the thumb wheel from one side to the other while checking the airflow. The flow should stop and start again, if the thumb wheel does not make a difference the problem is somewhere else. 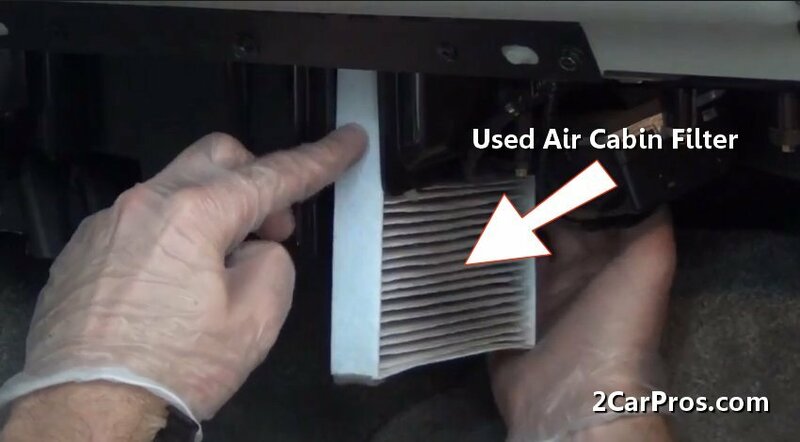 Step 2 - Most cars are equipped with a cabin air filter or hepa filter. These filters are designed to clean the air before it exits the air vent. If this filter becomes clogged due to lack maintenance it will stop or slow the flow of air exiting the vents. To check this filter locate the filter housing which can be either under the dash on the passenger side or under the hood of the car, near the base of the windshield on the passenger side, remove the cabin air filter and inspect. 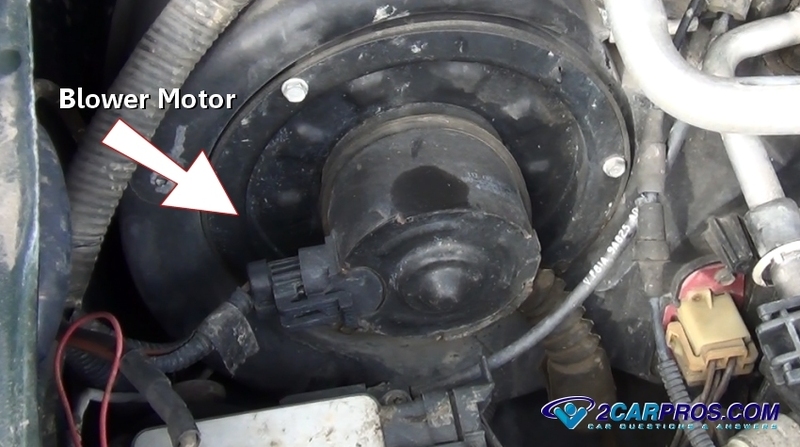 Step 3 - A fan blower motor is controlled by either a switch in the passenger compartment or by a computer. If this fan motor is starting to fail it will cause the fan motor to run at a lower speed resulting in low air flow. To test this condition an amp meter is needed, connect the meter lead to the power wire of the fan motor. With the fan motor on in the full speed setting the amp meter should read between 8 and 15 amps. Anything lower than 8 amps could mean the fan motor has shorted and is not operating at full output. Step 4 - There are two air intakes for the ventilation system, one fresh air the other is re-circulated air. If these air intakes become plugged by a piece of paper, cloth or other form of blockage it will slow or stop the airflow. Inspect both external and internal air intakes located at the base of the windshield (external) and at the passenger side foot well (internal).